Here is something posted in the open requests section, sorry for getting back to you so late. 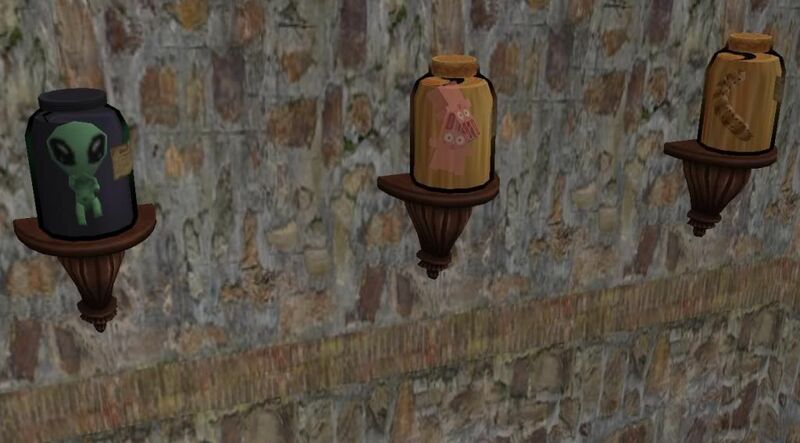 It's the Supernatural specimen jars for The Sims 2. Found in decorative/misc. costing 5 simoleons a piece. They will fit on AL and BV shelving. Enjoy!